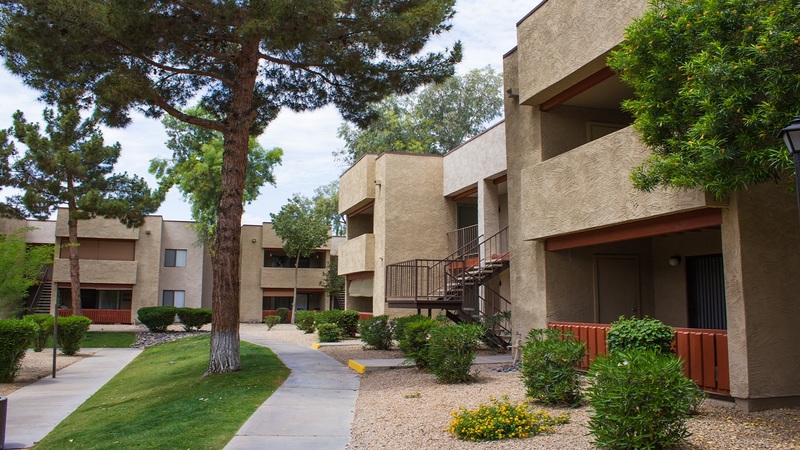 Phoenix, AZ – July 2, 2018 – ABI Multifamily, the Western US’s leading multifamily brokerage and advisory services firm, is pleased to announce the $23,000,000 / $131,429 Per Unit sale of the Sun Creek Apartments located in Glendale, Arizona. Built in 1985, Sun Creek is a two story, garden-style apartment community that features 175 units in 10 rental buildings constructed of wood frame and stucco. The property has flat roofs and rests on approximately 7.28-acres. The unit mix consists of 79 one-bedroom / one-bathroom units and 96 two-bedroom / two-bathroom units, with a weighted average size of 787 square feet. Sun Creek is individually metered for electricity with individual hot water heaters. Units feature air conditioning, private patio / balcony, extra storage, and washer / dryer in all units. Community also provides its residents with two swimming pools, fully appointed clubhouse with leasing office, covered parking, and a fitness center. "Sun Creek is located in the highly desirable North Glendale Submarket," states Alon Shnitzer, Senior Managing Partner at ABI, lead broker for this transaction. "The City of Glendale, including the North Glendale submarket, has witnessed an explosion in renter households rising ~31% since 2000. It is challenging to find a B class property in a B type location with upside and this property checked all the boxes for the buyer. The purchase of this property also fit perfectly for the buyers’ 1031 exchange needs. It was a true pleasure working with both buyer and seller on this transaction." The buyer is a private investor based in California. The purchase of Sun Creek Apartments marks the buyers’ entry to the Phoenix apartment market. The seller is RK Properties, an experienced multifamily property investor with significant holdings throughout the Southwest and also in Georgia, North Carolina and Florida. Rance King Properties Inc dba RK Properties is a Delaware corporation that has specialized in multifamily investments since 1976. Rance King Securities Corporation is a California corporation that was formed in 1984 and acts as the placement agent for investment products sponsored by RK Properties. Both RK Properties and Rance King Securities Corporation are owned by William Rance King, Jr., who is both a registered FINRA Principal and a multi-state licensed real estate broker. The multifamily brokerage team of Alon Shnitzer, Eddie Chang, Rue Bax, John Kobierowski and Doug Lazovick represented both the buyer in this transaction. ABI Multifamily is a brokerage and advisory services firm that focuses exclusively on apartment investment transactions. With offices in Phoenix, Tucson, San Diego and Sacramento the experienced advisors at ABI Multifamily have completed billions of dollars in sales and thousands of individual multifamily transactions. ABI Multifamily incorporates a global approach with regional real estate expertise to successfully complete any multifamily transaction, regardless of size and complexity.